So We were spared the worst from the nasty hurricane. I hope y’all were spared, too. I missed National Taco Day on Saturday. I was too busy staying high and dry. I’m catching up on my taco eating today. It’s the least I can do to remember my dear friend, Miss Jazzi. 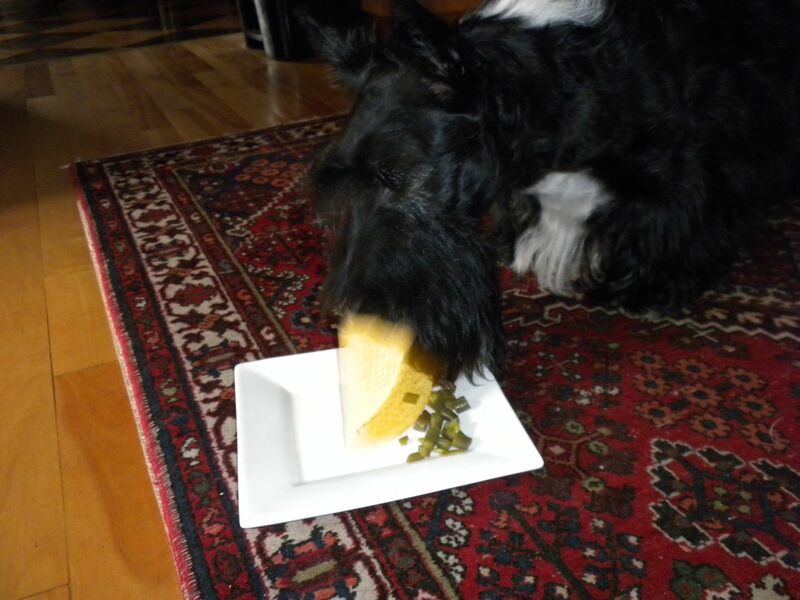 This entry was posted in The Scottie Chronicles and tagged Scotties, Taco Day. Bookmark the permalink. 12 Responses to Wooo Weee. 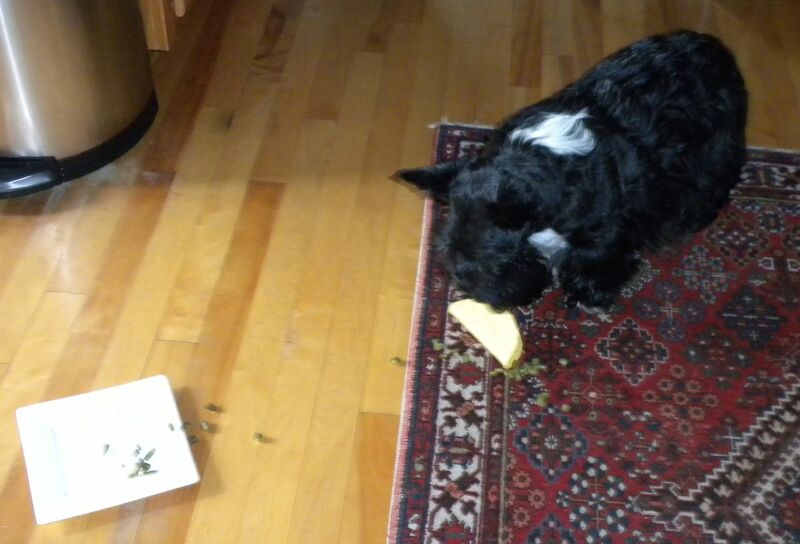 Enjoy that green bean taco Stuart! Glad you stayed safe from any damage. are those green beans inside that taco?? way to go stuart…. You are a dear to remember Miss Jazzi. ove the green bean taco! Makes us hungry…..hey Mom, we want one……. (she’s ignoring us). Woot! That’s the beauty of green beans, they’re so versatile, you can serve them lots of ways and they are always delicious! A late taco are better dan no taco. We are happy that you stayed safe. Enjoy your taco in honor of Jazzi. Wash it down with a margarita-Ruby needs our. Im so glad that you got your green bean Taco Stuart!!! Jazzi is happy about that! !